As people interested in the literature on food safety, it is not unusual to come across contrasting data when you view challenge studies focused on the same microorganism and intervention. For example, one group may estimate that treating a particular pathogen with UV light may reduce the foodborne pathogen by 2 logs while another set of authors may observe a 3 log reduction of that pathogen treated with the same intervention. What could be the reason for all these differences and why is it important? Well, these could be attributed to a large number of factors. Differences in the populations tested (ie. treatment on leafy greens vs smooth surface produce), variations in the samples of similar products (using different varieties of a crop), differences in the individual strains of the tested pathogen as well as the use of varying experimental conditions (dosage of intervention, time of application, aerobic/anaerobic conditions, temperature of surroundings and intervention, pressure etc.). Altering one of the factors could easily contribute to immense changes in the effectiveness of the antimicrobial intervention, resulting in different research groups putting forth different findings. Can this be instrumental in the assurance of food safety? 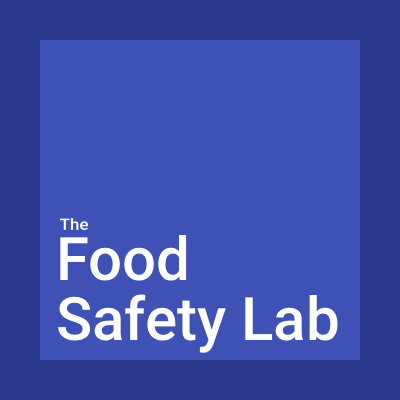 Yes, this is very important in the development of actions to guarantee food safety, since in order to choose a certain intervention as our hazard control step during processing, we need to know exactly how effective it is in killing microbial hazards. There is also the added necessity to know the effectiveness of an intervention before approving it for widespread use in the food industry. Finally, settling the debate on the effectiveness of a treatment is crucial before communication with the general public, so as to present a unified opinion that will not stir controversy and fuel pseudo-scientific conspiracy theories about the dangers involved in using that technology. How do we address this concern then? Currently, the food safety literature on challenge studies focuses on the use of systematic reviews to bring findings on a similar issue together and provide conclusions based on the evidence on the effectiveness of that particular research area. Systematic reviews are very detailed however they are lacking in one aspect, they do not always provide a numeric estimate of the effectiveness of the intervention. How then do we address this deficiency: bring in META-ANALYSIS. Meta-analysis involves evaluating the past findings on a particular research problem and providing a quantitative estimate to best describe the effectiveness of the particular treatment. Meta-analytical studies are abundant in the area of medicine/healthcare and the social sciences, however in food safety studies, it has only started to gain application within the last decade. A meta-analysis involves conducting a systematic review first, followed by the use of statistical techniques to provide an overall estimate based on the evidence. It also involves the study of the variations that exist from study to study, allowing the researcher to carefully identify the individual factors that contribute to the differences in results obtained by the different experimental groups. How could meta-analysis be useful in food safety? Increasing the number of meta-analytical studies can really influence the accuracy of risk assessment models that estimate illnesses in the population when contaminated foods are consumed. In some of these models, the impact of antimicrobial interventions is included to determine the number of illnesses that can be prevented when the contaminated food is treated. Usually, the microbial reduction data may be taken from one study under a specific set of conditions. Replacing this data in the risk assessment models with the meta-analytical estimate of microbial reduction can then lead to determinations which are more accurate since the value is obtained from a higher number of studies that cover a wide range of the actual conditions that exist in the real world. The fact that the meta-analysis estimate is also obtained from more than one study means that decision makers in food safety will have a readily available document that has already synthesized the necessary data when the time arrives for the development of policies and regulations related to that antimicrobial intervention. Meta-analysis has been very instrumental in driving evidence-based practice and decision making in healthcare, it is time for the field of food safety to embrace the advantages it provides and utilize it to bring together our findings and standardize practices to ensure the public health. Haidich AB. 2010. Meta-analysis in medical research. Hippokratia 14(Suppl 1):29-37.